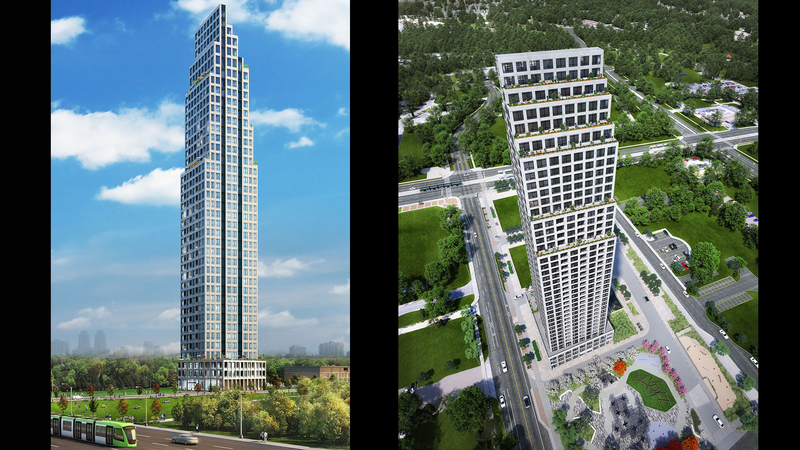 This 35-storey tower, by award-winning Architect Roy Varacalli, is at the leading Edge of design with modern and elegant finishes throughout the interiors and exterior. Large balconies and stunning terraces enable residents to experience the city at new heights. Floor to ceiling windows reflect the atmosphere allowing the architecture to blend seamlessly into the sky, while the framing allows it to stand out against the backdrop as a marvellous structure. Live life at the Edge and be connected to it all with easy access to both public transit and all the major highways – 401, 403, 407, 410, and the QEW. The future Hurontario LRT is only steps away from home, and will bring 20km of modern, rapid transit to the city – from the beautiful Port Credit area all the way up to the Gateway Terminal in Brampton. This new light rail line will join an already outstanding system with connections to two GO Transit lines, Mississauga’s MiWay bus routes and Brampton’s Züm lines. 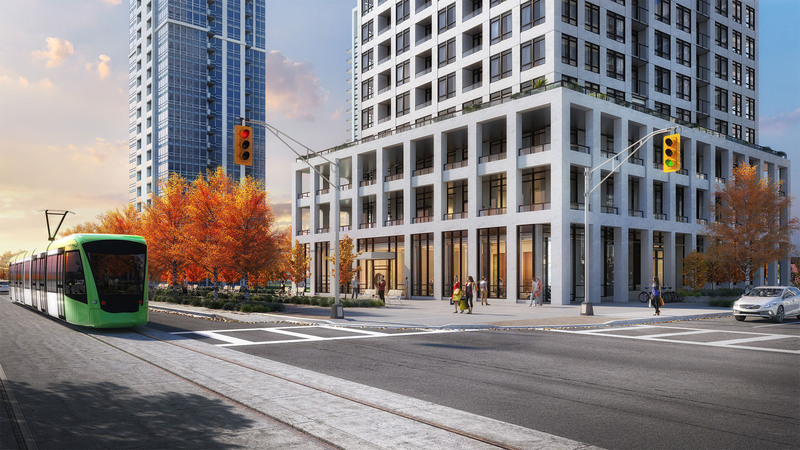 This makes the Edge just steps away from connections to Union Station and Pearson Airport, while still being within walking distance to Square One Shopping Centre. Take a seat and enjoy the picturesque views of Mississauga in the glass-enclosed galleria. Take advantage of the cool elements of the granite accent wall complete with a warm and welcoming fireplace. 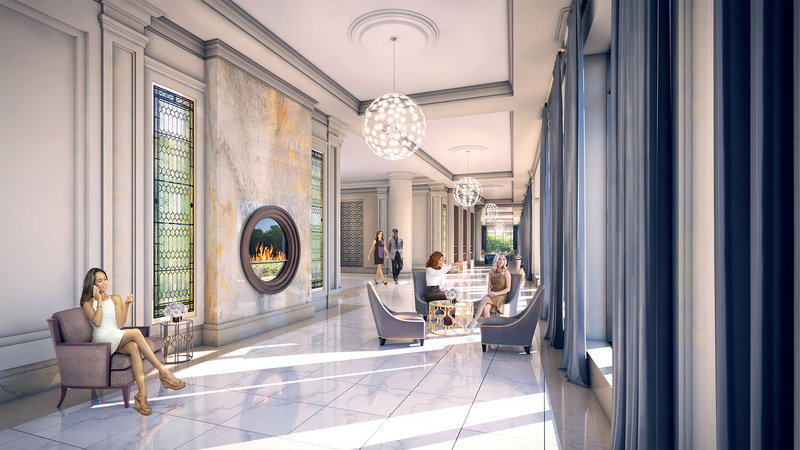 The white marble floors throughout create a cohesive theme in the building and mirror the contemporary lighting and décor fixtures. Transportation will never be a problem with a new LRT set to be just steps away from the development, conveniently located on Hurontario. Mississauga Bus Terminal also located at Square One. Distinguished by timeless elegance, sophisticated interior designs and superb attention to detail, every Solmar community is a dedication to quality living. Our residential communities are rich in character and personality, imbued with old world values and new age efficiencies. Classic in appeal, yet modern in outlook, a Solmar community is a benchmark of quality that exceeds expectations. From luxurious estate manors to classic single detached homes, exquisite semis and townhomes to elegant condominiums, you will see the Solmar signature of excellence in every home they build. Every Solmar home is the result of uncompromising quality, efficient designs, and meticulous craftsmanship.